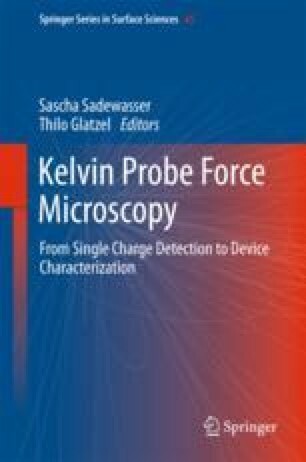 Kelvin probe force microscopy (KPFM) has been widely used to map nanoscale surface potentials of materials in ambient and ultra-high vacuum environments. However, to study and ultimately understand charge-related processes, e.g., in biological systems or to further improve energy storage devices such as electrochemical batteries, nanoscale surface potential measurements in liquid environments are required. Here, we describe the various implementations of KPFM-based approaches for measuring surface potentials in liquid environments. We provide practical guidelines for surface potential measurements and describe what other information can be obtained. Finally, we discuss potential applications and limitations of existing approaches and present possible solutions for the successful implementation of liquid KPFM. A portion of the research was conducted at and supported by the Center for Nanophase Materials Sciences, which is a DOE Office of Science User Facility (LC). BJR acknowledges support from Science Foundation Ireland (14/US/I3113) and the European Union’s Horizon 2020 research and innovation programme under the Marie Skłodowska-Curie grant agreement No 644175.